The old pub is set to become a refreshed institution under a new ownership group that includes Frame Creative and Evan Coghlan – who has managed some of Adelaide's best bars. We were enjoying a delicious lunch of smoked ocean trout and Mylor Bakery sourdough at Paddy’s Lanetern on our distribution run of CityMag’s latest edition, when we were bailed up by SouthWest city locals, Frame Creative. The West Oak Hotel is currently being restored and refurbished. Opening date is currently slated for September 28th, 2017, and you can find the pub at 208 Hindley Street, Adelaide. 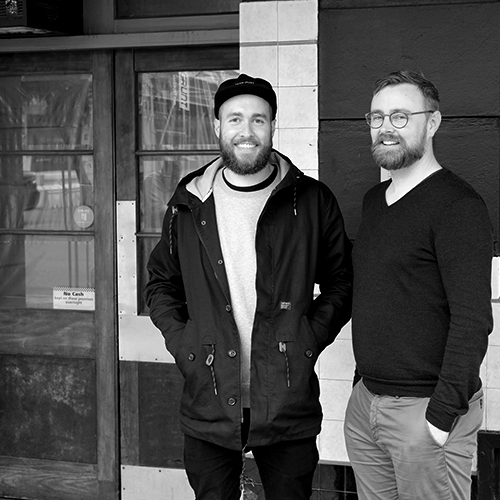 Sam, Simon and Tim Pearce – brothers and owners of Frame Creative – were rushing out of their office and onto a meeting but, in two minutes of conversation, divulged they had bought the Worldsend Hotel with a group of partners and would be re-launching the pub at the end of the month under a new name. News of the Worldsend’s closure left us reeling. The Worldsend was a consistently average pub that had a really special place in our hearts. Many happy hours spent there prior to the intake of cups of murky brown water at the Kava Hut and dancing at Mojo West all flashed before our eyes as we farewelled the Frame Creative crew and promised to catch up on the details soon. 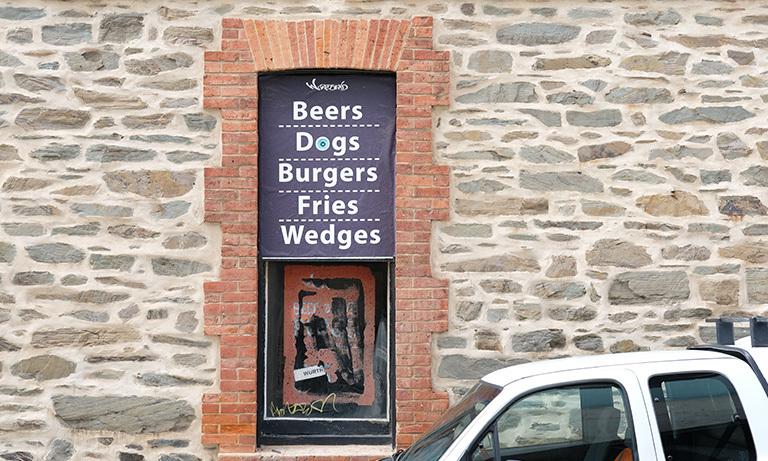 Already, the pub is shrouded in scaffold, with the new owners chipping away at the ugly concrete render in which the building has long been smothered. 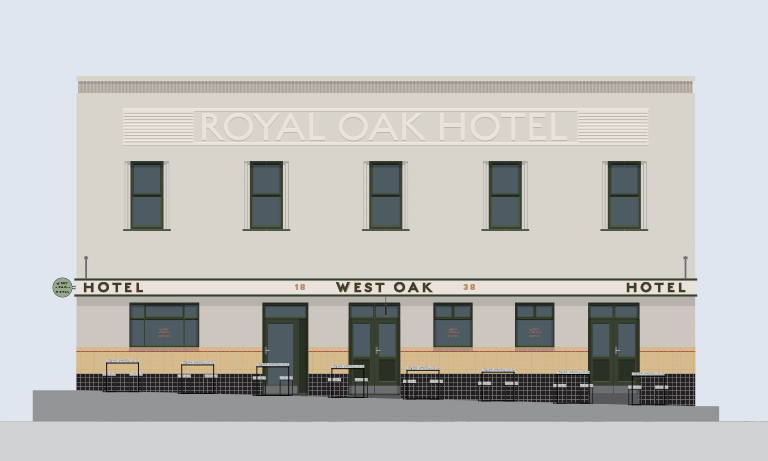 Set to be called the West Oak Hotel, the new version of the venue will draw on its original history as the Royal Oak both in name and in aesthetic. The fresh owners of the former Worldsend Hotel are a diverse group. This is Evan’s first venue as an owner but he’s spent the better part of two decades managing some of Adelaide’s premiere establishments – from the launch of Botanic as a cocktail bar, to managing Crippen Place’s myriad venues, and finally running Fat Controller. “That’s the most recent one, Fat Controller is the most recent one and the Frame [Creative] guys did the branding on that and they actually won a couple of AGDA awards on it. That’s the first project we worked with them on and now they’re partners in this one,” says Evan. CityMag imagines many people having similar melancholy feelings about the loss of the Worldsend but really, the pub had failed to connect with a new generation of drinkers. “Hugo Pedler, one of the other partners, there’s about a decade age gap between us and we were talking,” says Evan. It’s startling that a venue as iconic as the Worldsend could be unknown by anyone, let alone someone who is active in the hospitality industry. But the new ownership team are determined to turn the building into something that resonates once more. The West Oak Hotel will launch at the end of September – not only with a new name – but also with a new offering among Adelaide pubs. This includes a pivot away from chicken parmigianas. 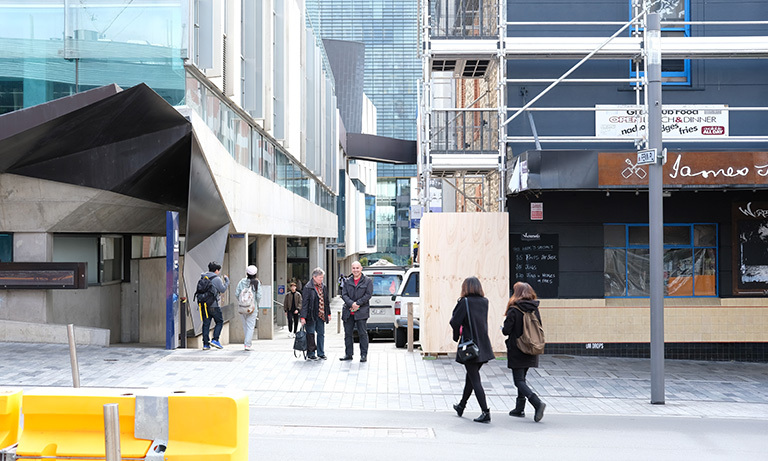 “When we open we’re really going to be focused on the daytime food offering,” says Evan. “We don’t want to give too much away but the best way to understand how we’ll be different is when you look at the East End and you look at the Stag. You’ve got this big, huge pub that’s empty 90 per cent of the time and then you look at what Glenny (Paul Glen) has done with The Botanic Bar, Africola and Golden Boy and you see these old pubs – they’ve got lovely bones – you’ve got to give a nod to that but the way that people use pubs, when you see all the small bars, is really different. In November last year CityMag wrote a detailed piece about the demise of the Great Australian Pub, lamenting the blinkers some publicans seem to be wearing while the hospitality industry and consumer habits change drastically around them. 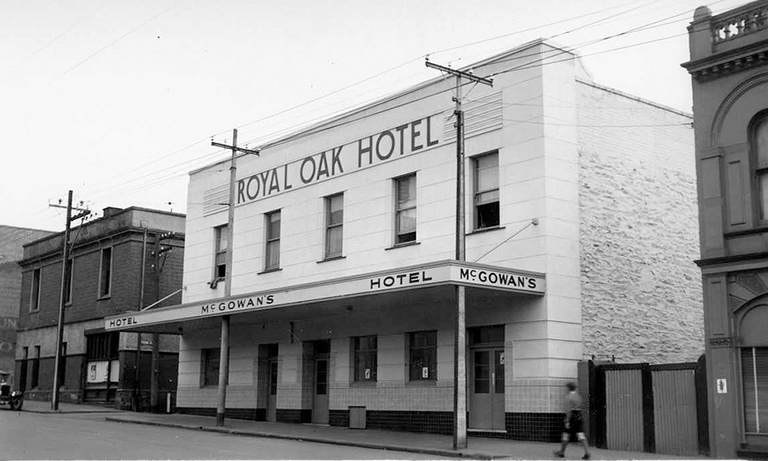 Born from opportunity and serendipity, The West Oak Hotel is among the first wave of developments to result from the huge transfer of humans from the Royal Adelaide’s East End to its West End digs. With hospitality heavyweights and one of Adelaide’s best design firms at the helm, we’re sure the project will transform what Adelaide comes to expect from the humble pub.